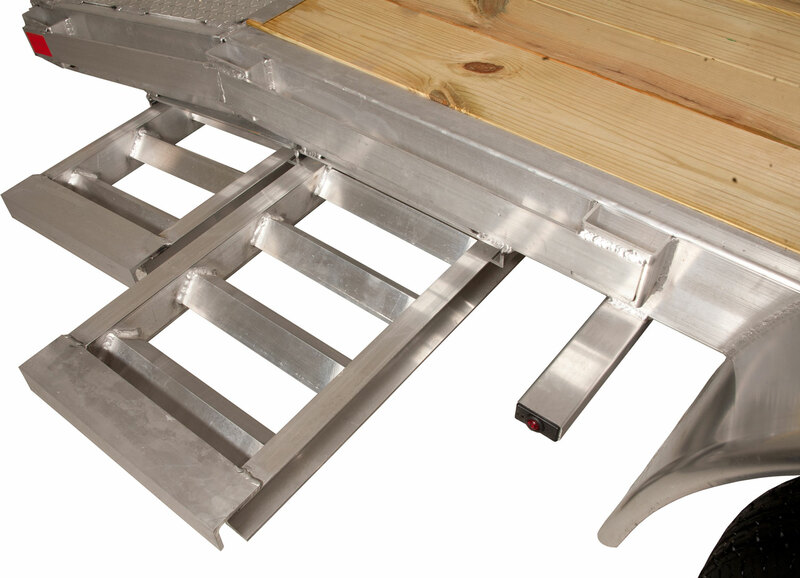 The Aluminum Flatbed is a lightweight, low maintenance alternative to its steel counterpart. 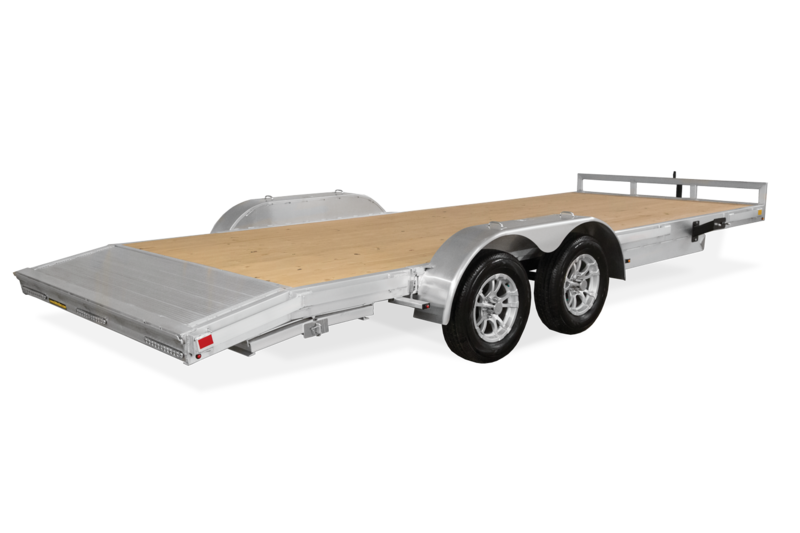 It is available with 7000 lb, 9900 lb or 14000lb GVWR. 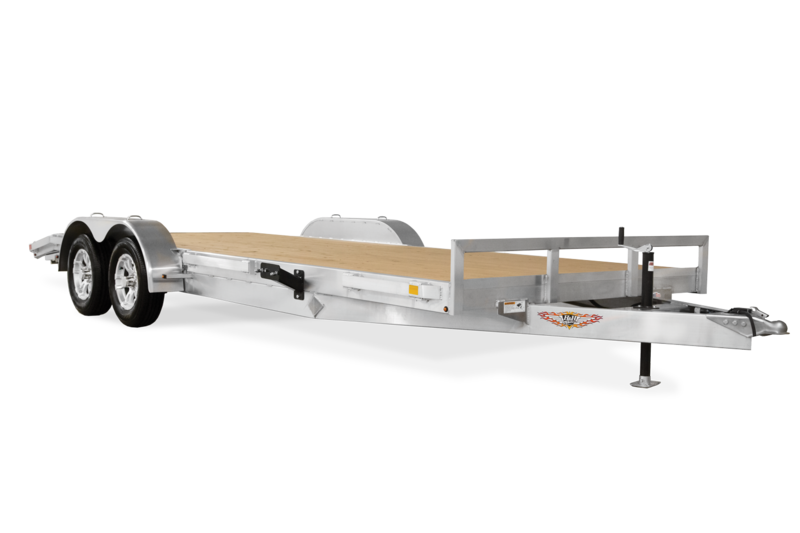 These lighter weight trailers offer a slightly higher payload capacity than steel trailers in its class, making it a great choice for maximizing your load. 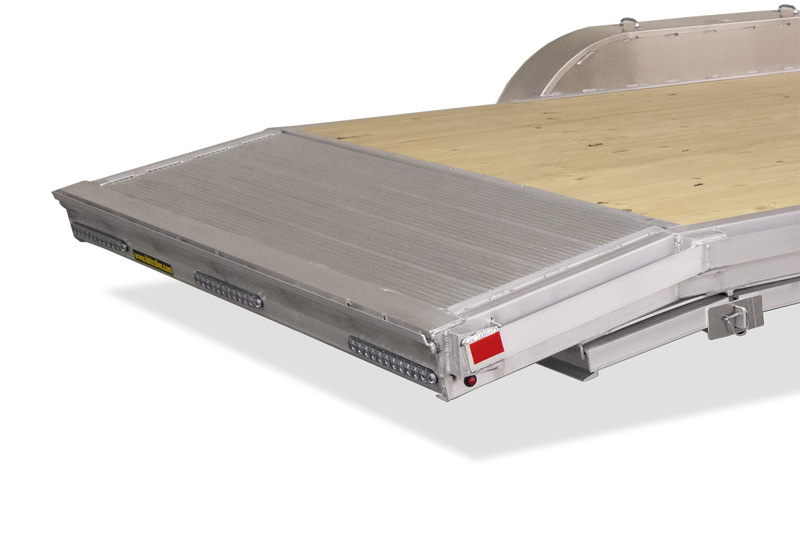 Upgrade to an aluminum extruded deck and outriggers to make it the ultimate car hauler. 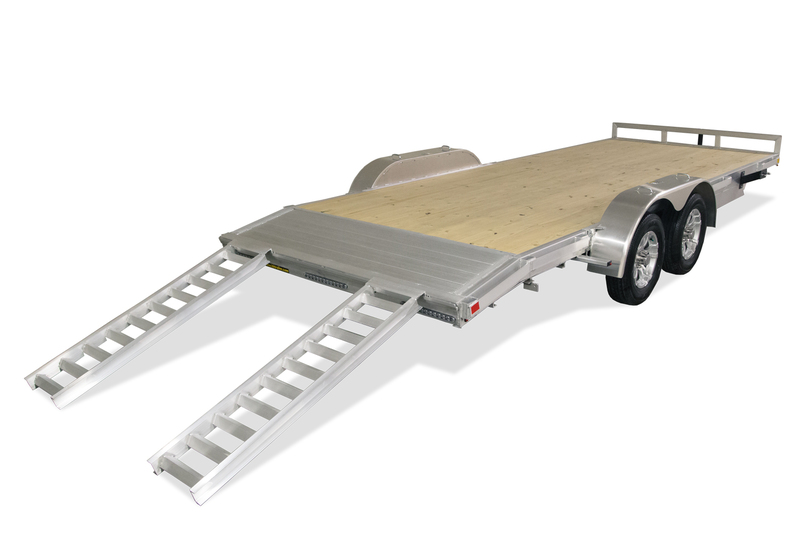 82" x 16'+2' 7K 44"
82" x 18'+2' 7K 44"
82" x 18'+2' 14K 44"
82" x 20'+2' 10K 44"
82" x 22'+2' 14K 44"
82" x 16'+2' 7K 14 1/2"
82" x 18'+2' 7K 14 1/2"
82" x 18'+2' 14K 14 1/2"
82" x 20'+2' 10K 14 1/2"
82" x 22'+2' 14K 14 1/2"
82" x 16'+2' 7K 15"
82" x 18'+2' 7K 15"
82" x 18'+2' 14K 15"
82" x 20'+2' 10K 15"
82" x 22'+2' 14K 15"
82" x 16'+2' 7K 60"
82" x 18'+2' 7K 60"
82" x 18'+2' 14K 60"
82" x 20'+2' 10K 60"
82" x 22'+2' 14K 60"
82" x 16'+2' 7K 21'-10"
82" x 18'+2' 7K 23'-10"
82" x 18'+2' 14K 23'-10"
82" x 20'+2' 10K 25'-10"
82" x 22'+2' 14K 27'-10"
82" x 16'+2' 7K 102"
82" x 18'+2' 7K 102"
82" x 18'+2' 14K 102"
82" x 20'+2' 10K 102"
82" x 22'+2' 14K 102"
82" x 16'+2' 7K 34"
82" x 18'+2' 7K 34"
82" x 18'+2' 14K 36"
82" x 20'+2' 10K 36"
82" x 22'+2' 14K 36"
82" x 16'+2' 7K 24"
82" x 18'+2' 7K 24"
82" x 18'+2' 14K 26"
82" x 20'+2' 10K 26"
82" x 22'+2' 14K 26"
82" x 16'+2' 7K 16'-2"
82" x 18'+2' 7K 18'-2"
82" x 18'+2' 14K 18'-2"
82" x 20'+2' 10K 20'-2"
82" x 22'+2' 14K 22'-2"
82" x 16'+2' 7K 82 1/4"
82" x 18'+2' 7K 82 1/4"
82" x 18'+2' 14K 82 1/4"
82" x 20'+2' 10K 82 1/4"
82" x 22'+2' 14K 82 1/4"